Reassurance shield after the 623 junction. Just after that, we’ll prepare to cross the Susquehanna River. 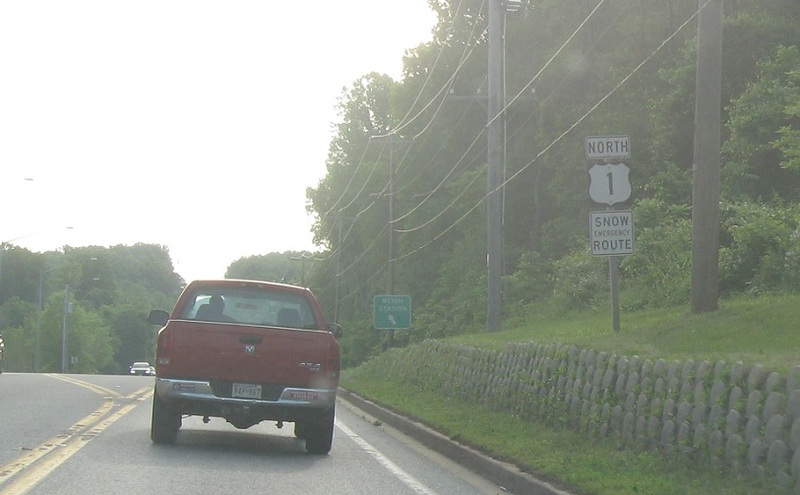 Before we cross, we’re advised that big trucks can’t use MD 222. 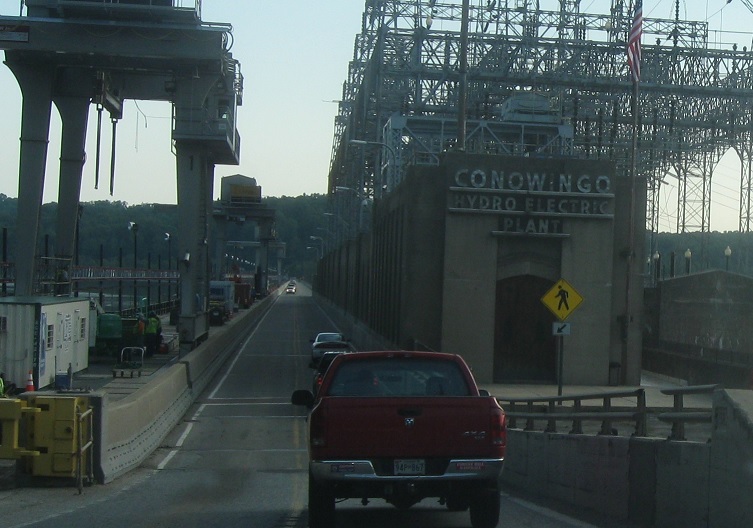 US 1 crosses the Susquehanna atop a hydroelectric dam. 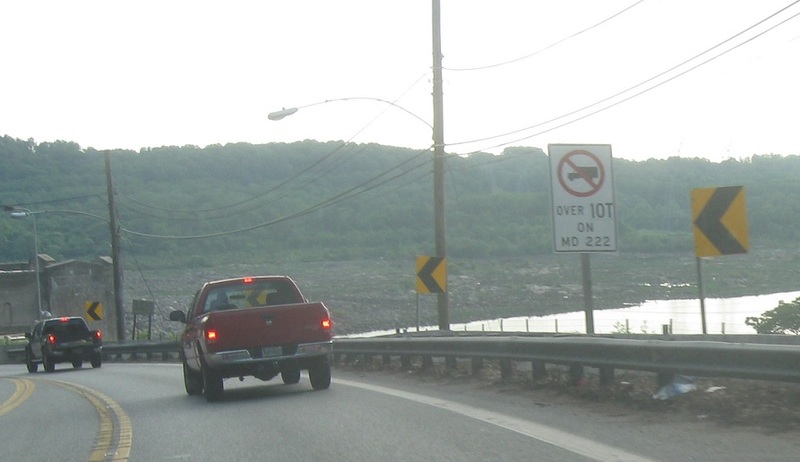 As soon as we cross the bridge we’ll approach MD 222. 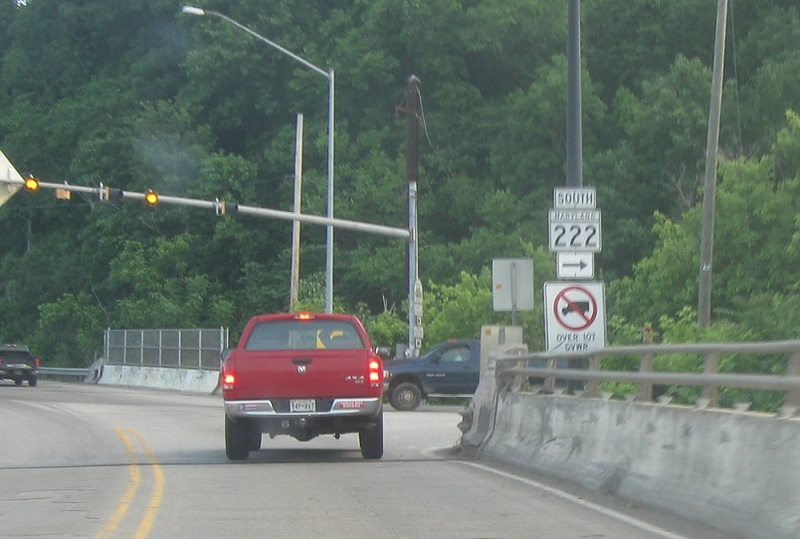 Turn right for 222 south.